Arrive at Calgary International Airport. Individual transfer to your centrally-located hotel. After acheck-in the remainder of the day is free. The tourdirector will contact you in the late afternoon togive details on joining the tour. Explore the Old West at the GlenbowMuseum or Fort Calgary on your own, browse through the Eau ClaireMarket, ride up the Calgary Tower for a great view and savour thegreat restaurants and dynamic nightlife. Overnight in Calgary. We begin the day with a city tour of Calgary. Leavingthe city, we travel west on the Trans-Canada Highwayinto the rolling foothills of the Rocky Mountains. Themajestic peaks of the Canadian Rockies soon fill thehorizon as we approach Banff National Park, our first of several in theCanadian national parks system. We soon arrive in the charming resorttown of Banff. Overnight in Banff. Continental breakfast included. Today we will enjoy a tour of the region around Banff. The area became Canada’s first national park in 1885 to protect its natural hot springs. An optional Helicopter Sightseeing Tour will give you the chance to see the eastern ranges of the Rocky Mountains. Alternatively you can take an optional gondola ride to spectacular Sulphur Mountain. Bring your camera! The rest of the day is at leisure to explore the surroundings of Banff, stroll along Banff Avenue, or relax and enjoy the scenery. Overnight in Banff. Full breakfast included. Today’s journey through Banff and Jasper national parks promises to be a highlight of our tour. We visit Lake Louise, one of the most photographed lakes in Canada. Afterwards, we travel north on the famed Icefields Parkway, where we board a specially constructed Ice Explorer to ride on the surface of the ancient Athabasca Glacier. 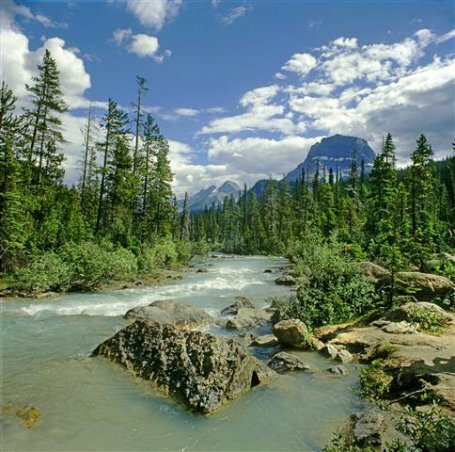 Close to Jasper, we have the chance to go on an optional raft trip on the Athabasca River. Overnight in Jasper. Before leaving Jasper National Park this morning,you can take part in an optional Spirit Island Cruiseon Maligne Lake, the most picturesque and largestglacier-fed lake in the park. 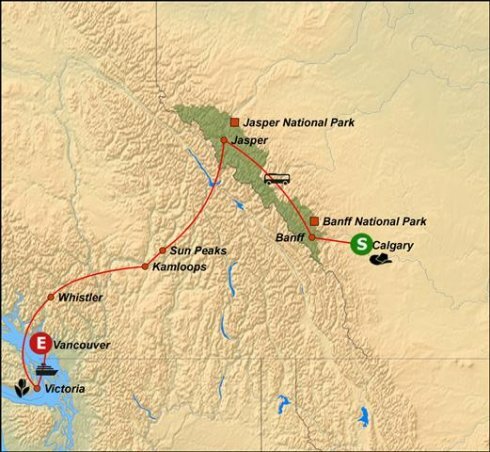 You may alternately takean optional motorcycle tour of Jasper, riding in the comfortable sidecarwith an unmatched view of the forests and mountains. Then, we travelwest along the Yellowhead Highway and into the heartland of BritishColumbia. Breathtaking, unspoiled vistas await visitors in every seasonof the year. The route takes us along the Thompson River through the picturesque Shuswap Highlands. Overnight in Sun Peaks. Full breakfastincluded. We can expect a day of dramatic scenery changes when we drive through the ranch lands and head for the coastal mountains. A journey along the Duffey Lake Road exposes new vistas at every turn. An optional Floatplane Sightseeing Tour over Garibaldi Park gives you an inspiring view of a natural preserve of volcanic peaks, alpine lakes and meadows. Enjoy the rest of the day at leisure. Overnight in Whistler. Full breakfast included. The Sea-to-Sky Highway leads us south through spectacular coastal scenery today. From HorseshoeBay, we cruise by ferry across the Strait of Georgia to Vancouver Island and continue by coach to Victoria, British Columbia\'s capital city. Arriving in Victoria, we embark on a city tour of this former British enclave. Overnight in Victoria. Full breakfast included. Proud of her maritime heritage, Victoria has retained a quaint, colonial demeanour evident in the many 19th century landmarks throughout the city. Today we treat ourselves to a tour of the world famous Butchart Gardens, one of the world’s great floral displays set in a reclaimed stone quarry. Time will be allocated here for browsing through the regal gardens. 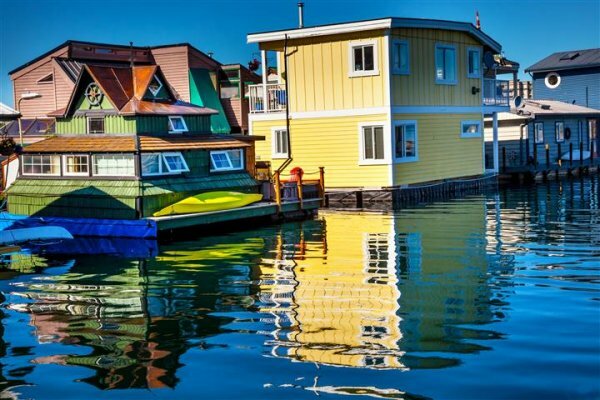 You can take part in an optional Floatplane Sightseeing Tour over downtown Victoria and the Strait of Juan de Fuca with the Olympic Mountains in the distance. You can also go on an optional Whalewatching Excursion aboard a Zodiac or a regular vessel. Watch for the magnificent orcas and the abundance of marine wildlife. The remainder of the day is at leisure to explore the city’s delights. Overnight in Victoria. Continental breakfast included. 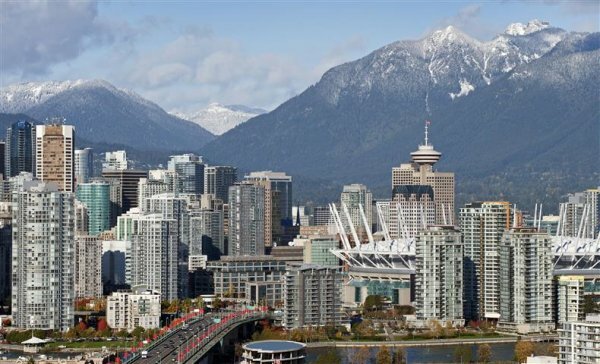 We continue through the resort region of the GulfIslands to the oceanside city of Vancouver. Uponarrival in Vancouver, we enjoy an interesting tourof the city, including Stanley Park, English Bay,Gastown, Chinatown, and much more. The remainder of the day isfree for independent exploration or simple relaxation. This evening features our farewell dinner party at the Capilano Suspension Bridge with a welcome from First Nations carvers. Overnight in Vancouver. Continental breakfast and dinner included.